Louise Hopkins 1 of 8 in the country working for Dove Home Care overseeing Dementia in the best possible way. Dove Home Care has been caring for its clients for over 25 years, and many of these clients have had some form of dementia. We have been able, over the years, to become very experienced in all aspects of help and support both for our clients and their families. We can offer a real choice to support and assist people to stay as independent as they possibly can in the comfort and familiarity of their own homes. We have invested in training our carers to recognise and support our clients with the daily challenges of living with dementia. We have had the privilege of supporting our clients, over many years as their dementia progresses. 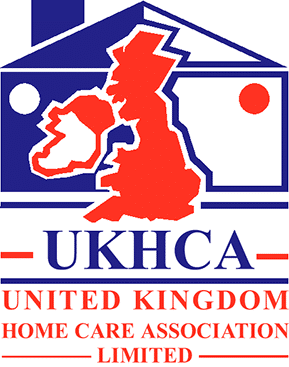 We offer the real and positive option of staying at home rather than the option of going into residential care. We are often asked the question “when should we think about mum or dad going into a residential care home”. We respond by saying that as long as there is a real benefit to the person involved, which means that they still recognise their environment, their families, friends, carers and enjoy being in their own homes, this in our opinion, is the best option. If however, due to worsening symptoms, when a person does not recognise their loved ones, and becomes increasingly agitated, possibly wandering, especially at night, then the benefit of being at home, can become outweighed by the need for a safer more protective environment in a residential setting. We have over the decades supported many clients, who are all unique individuals and have different care needs and challenges, enabling them to have a high quality of life in their own homes. We had a phone call to ask us to go and meet a lady, Liz who was 92 years old in a Christadelphian Nursing Home, she had been admitted to hospital with a fractured hip, after a fall, and was placed in the nursing home by her family whilst they looked at various alternatives to caring for her. To add to the complications in caring for her, she had been looking after her son David, who suffered from Alzheimer’s and was himself 72 years old. This was the start of an amazing journey and care package, and we were not put off by Liz’s g.p’s comments, “you will never put care in with Liz” . We arranged for her home to be prepared for her and David’s discharge from the Nursing Home, and put in a care package after a full discussion with her grandson, who was her sole living relative. We started with assisting with shopping, preparing meals, and she kept her own cleaner and gardener. It quickly became necessary to add sleep over’s to support Liz with caring for David at night. Over the years we became more involved in their care, as her grandson lived over an hour’s journey away. We took Liz to visit David in hospital when his Alzheimer’s worsened, we then realized that a more intensive care package was needed. In discussion with her grandson, who felt that it was in Liz and David’s best interests that they remained in their own home, a live in care package was introduced. We took time to select a team of carers who had both the experience and dedication to provide long term care for this unique couple. After David’s death at the age of 76, we all thought Liz would give up, but this was not the case. Liz lived a full life, until she was 2 days short of her 101st birthday, and when we helped to arrange her funeral, we were all there to pay our last respects as she was carried to the church in a horse drawn cortege, her last wish. We had been caring for her for nearly 9 years, and she touched the lives of all of us. We have so many success stories like the above, all completely different but really all the same. Someone needing imaginative and flexible support, treating them as the individuals they are, coming alongside when they are vulnerable with the care and compassion they deserve. We have invested in our care staff’s training, and have held the Investors in People Award since 2002. The assessor at our last inspection after speaking to our staff said that he had never met such a positive workforce. We also held a 3 * Excellent Care Quality Commission Award, whilst this rating system was in operation. We have been awarded 97% from our local authority in their last inspection. We have a fully qualified in-house Trainer, Vikki Tunnicliffe who oversees all aspects of our staff training, and we pride ourselves on excellent staff retention.